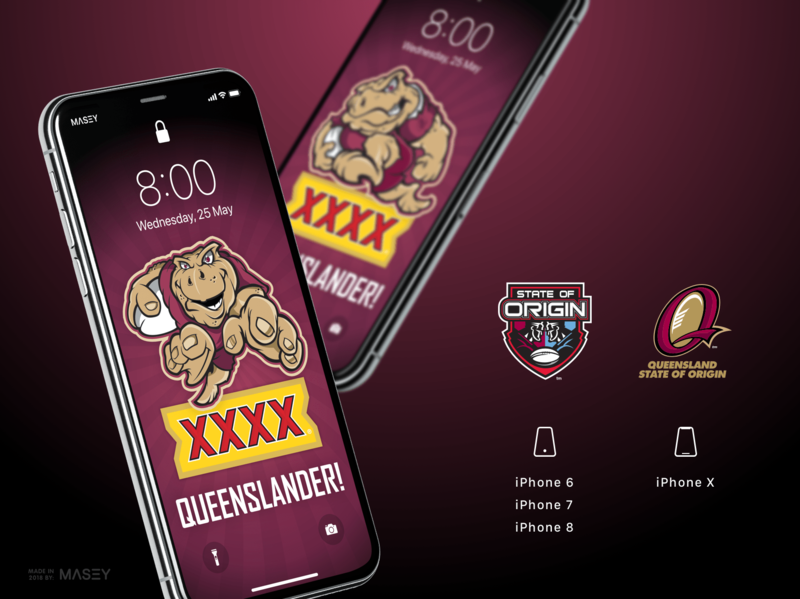 It's one of the biggest sporting events on the Aussie calendar and Queensland are, and have been, the most dominent team for over half a decade now, so why not support your team as they head into tomorrow night's clash with these brand new iPhone Wallpapers! The two designs below are super hi-res to make those iPhone retina screens dazzle, so pick your favourite, upload it to your phone and away you go! All team logos and branding marks are the property of their respective teams.